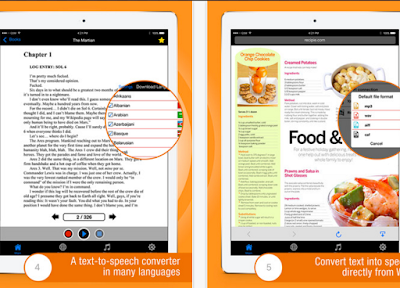 PDF to Audio Offline is an iPad app that can read out-loud text from almost any text file (e.g PDF, RTF, FB2, TXT, PPT, DOC, XLS, HTML) even text within a photo. It also lets you save the audio version of your document and export it to Cloud services of your choice or share it as audio file with others via email. 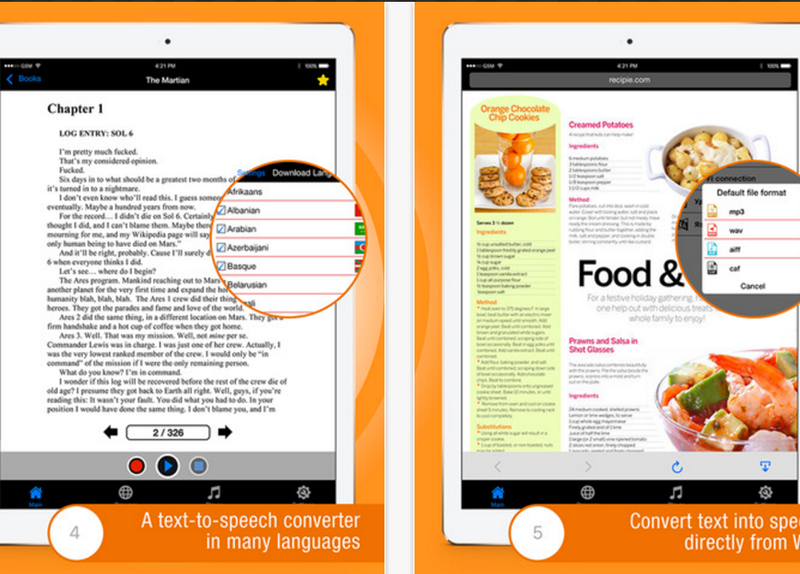 Besides converting text to audio, PDF to Audio Offline provides a set of powerful functionalities for reading, viewing, annotating and scanning almost anything you want on your iPad. The app works perfectly offline and is free today for a limited period of time, its regular prices is $ 2,99. Here is a quick overview of the main features provided by PDF to Audio Offline: ‘Read PDF, RTF, FB2, TXT, PPT, DOC, XLS, HTML Files; View PDF, RTF, FB2, TXT, PPT, DOC, XLS, HTML Files; Read the Text, Convert it to Speech and Save it in Audio format direct from a Photo; Scan your Documents; Convert PDF, RTF, FB2, TXT, PPT, DOC, XLS, HTML formats in to Speech and Save it in Audio format; Convert text into speech directly from web; Import Documents direct from your Cloud; Import Documents direct from your eMail; Export Audio file direct to your Cloud; Export Audio file direct to your eMail; Share Audio file with your friends; Read and Save in Audio format any Document in over 120 Languages and many more’.